The folks over at Jawbone are famous for their Bluetooth headsets, and I still remember how the world was abuzz with their bone conduction headset which they released a fair number of years ago. Well, they are still in the communications accessories game, and their latest device to hit the market comes in the form of the next generation Jawbone ERA headset. This is a totally reengineered Bluetooth earpiece which would allow you to take full advantage of your smartphone or mobile device, all the while not cramping your style since you would end up with a more natural, comfortable way to talk on the phone. Of course, using it in tandem with Siri or Google Now would also go some way in increasing the usefulness of this device. The Jawbone ERA would be able to direct audio to the ear in a completely hands-free manner, ensuring that your phone conversations are liberated while simplifying your smartphone interactions by leveraging a more human-centric, less intrusive voice-based user interface. Not only that, Jawbone engineers have more or less worked out a miracle with this puppy, seeing that it is now 42% smaller compared to Jawbone’s previous headset model, and it will also arrive with a convenient charging case which will be able to delivers up to ten total hours of talk time. The Jawbone ERA has been efficiently crafted and designed straight from the ground up so that it can deliver the best audio experience possible, never mind where you are at that particular point in time. There is also a new earbud and unique audio porting system which will leverage the entire acoustic chamber and high efficiency of the drivers so that sound is routed directly into the ear. Not only that, the MEMS microphones (micro-electro-mechanical systems) are also smaller and better-performing, seeing action for the first time in a Jawbone headset, while custom DSP algorithms (digital signal processing) would be able to adjust loudness and deliver the best audio possible based on your surroundings. 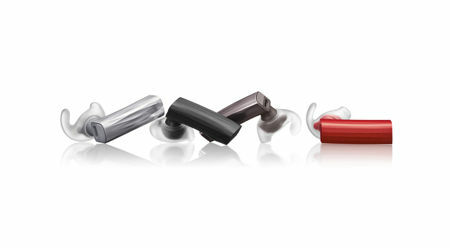 Expect the Jawbone ERA to retail for $129.99 a pop.